On the mortgage maturity date, the loan term is complete. 1. 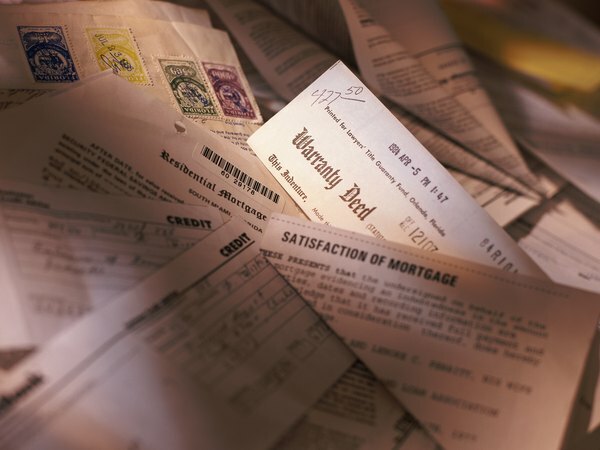 What Does It Mean When a Mortgage Matures? 3. What Is Maturity for a Note Payable? If you've borrowed money from a bank or other company to buy a house, then you've taken out a mortgage. A mortgage is a loan secured by property: the house which you've purchased and now own. As long as you keep up the monthly payments, the loan is current. A mortgage is a fixed-term loan; it can run 10, 15, 20 or, most commonly, 30 years. The end of that term is known as the maturity date. When you take out a mortgage, you'll be given a repayment plan that includes the loan's maturity date. This is the date when the final payment is due and your loan comes to an end. The maturity date represents the due date of the final installment of principal on a loan. You repay a mortgage loan in regular monthly installments so the payment of principal is spread over the entire term of the loan. However, the monthly interest amount gradually falls and the principal gradually rises as the mortgage ages. By the final year of the loan, a high proportion of the payments that you're making go toward principal. Monthly due dates reflect the payment of interest charged on the outstanding principal in the previous month. When you make a payment in September, for example, you're covering the interest due for the month of August. Principal is gradually paid down according to an amortization schedule, which figures the monthly amount due over a period of 30 years or whatever the term of the loan. On the maturity date, the loan reaches its full term and all outstanding principal is due and payable. As a result, ff you've fallen behind on your payments, the final payment due at maturity will be higher than the previous monthly payments; if you are unable to meet that payment, you must renew or refinance the mortgage. Most mortgages carry fixed interest rates. If you've bought a house with an adjustable rate mortgage, then your monthly payments will rise if the interest rate adjusts upward. This does not change the amount of principal or the maturity date. Your monthly payment can also change with a rise in property taxes or insurance, if these payments go into an escrow account handled by the mortgage servicing company. Your mortgage may permit prepayment of principal. You can send extra money towards principal, either regularly or once a year, and thus pay down the mortgage before its maturity date. This would result in less total interest paid over the life of the loan. Not all mortgages permit prepayment, however, and those that do may charge a fee. The laws of the state where you live govern mortgage loans. Some states set a statute of limitations on foreclosure actions. In Minnesota, for example, the law sets a limit of 15 years on foreclosures after the stated maturity date. If a mortgage loan has been extended or renewed, a borrower could theoretically continue making payments for 15 years after the original maturity date and then enjoy immunity from foreclosure on the property. What Is the Maturity Date on a Loan?